We offer the full range of PET films which includes Chemical coated films, Opaque white films, Matte films, Co-extruded clear and Ultra clear films, High strength yarn grade films for the converting industry, graphic arts industry, electrical insulation applications, labels, release liner coating and other wide range of applications. Our current focus is on specialty polyester film. We are developing films to meet the changing preferences of customers. 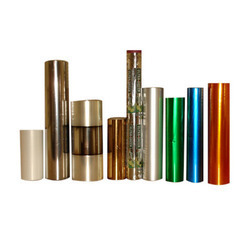 We have following specialty BOPET films –Co-extruded clear and ultra clear film. We offer the full range of Polyester Films which includes Chemical coated films, Opaque white films, Matte films, Co-extruded clear and Ultra clear films, High strength yarn grade films for the converting industry, graphic arts industry, electrical insulation applications, labels, release liner coating and other wide range of applications.Our current focus is on specialty polyester film. We are developing films to meet the changing preferences of customers. Owing to our vast industrial expertise, we have been able to manufacture, supply and exporting of optimum quality Milky White Polyester Film. 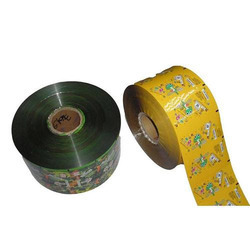 These polyester films are processed in accordance with the industry set parameters under strict supervision. 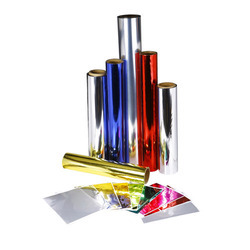 Appreciated for unmatched quality, high protection and UV resistance, these films are used as twist wrappers, chewing gum wrappers and for gift wrapping. 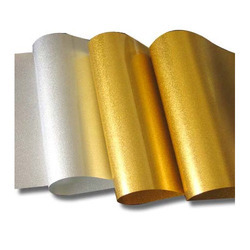 Our organization is listed among the leading manufacturers, suppliers and exporters of optimum quality Metallized Polyester Film. These films are appreciated among the clients for their fine finish, uniform thickness and optimum protection. Our offered films are highly resistant to heat and UV rays. These polyester films are extensively used in twist wrappers, chewing gum wrappers, or for packing of gifts, cosmetics and sweets. Owing to our expertise and knowledge in this domain, we have been able to offer premium quality Matte Finish Metallized Polyester Film to the honored customers. These films are processed in accordance with the industry set parameters using high quality raw materials obtained from trustworthy vendors. Offered films are globally appreciated among the clients for their matte finish, optimum strength and unmatched quality. Our organization is instrumental in the manufacturing, supplying and exporting of supreme quality Cable Insulation Polyester Film. These films are processed under the supervision of our qualified professionals using good quality raw materials. Offered polyester films are globally acknowledged by the clients for their multi layer protection, smooth texture and glossy finish. Besides, we offer these films at industry leading prices. Our company is regarded among the leading manufacturers, suppliers and exporters of optimum quality Printed Polyester Film. In the processing of these films, we use good quality raw materials and latest technology, under strict supervision. Offered films are globally appreciated among the clients for their fine finish, smooth texture and optimum protection. These films are used for the packaging of gift items, show pieces and sweet shops. 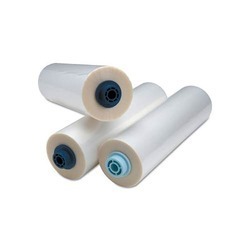 Our organization has been indulged in providing unmatched quality Heat Seal Polyester Film. 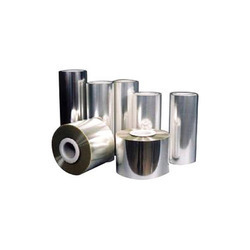 This film is highly used in various applications. Besides, our clients can avail offered film at fair market price. 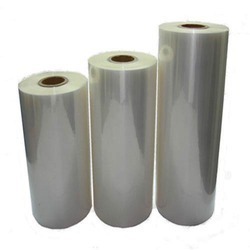 We are counted among the most prominent manufacturers, suppliers and exporters of best quality Heat Sheet Polyester Film. Obtained from authentic vendors, high quality raw materials are incorporated in the processing of these films. 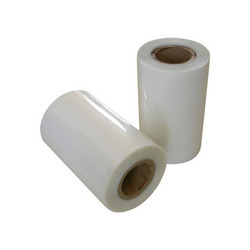 Known for their durability, high protection and light weight, these polyester films are extensively demanded in spare part industries, electronics and decoration industries. Looking for Polyester Films ?